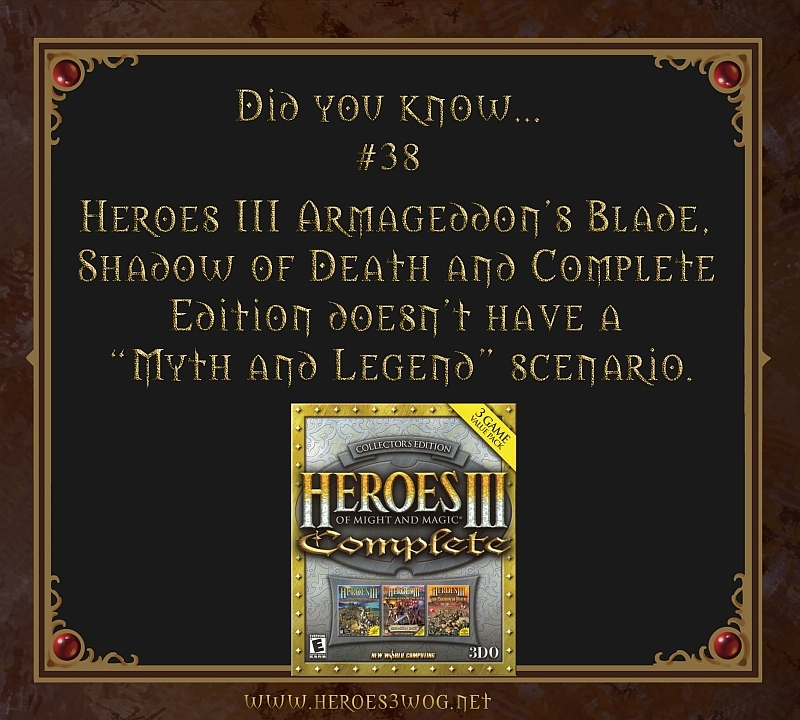 #38 Heroes 3 Armageddon’s Blade, Shadow of Death and Complete Edition doesn’t have a Myth and Legend scenario. 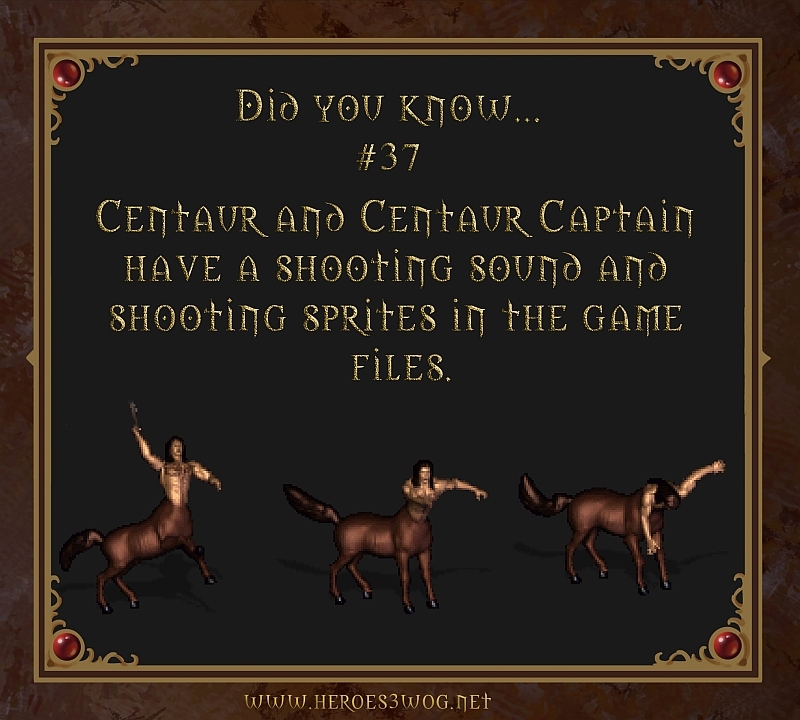 #37 Centaur and Centaur Captain have a shooting sound and shooting sprites in the game files. 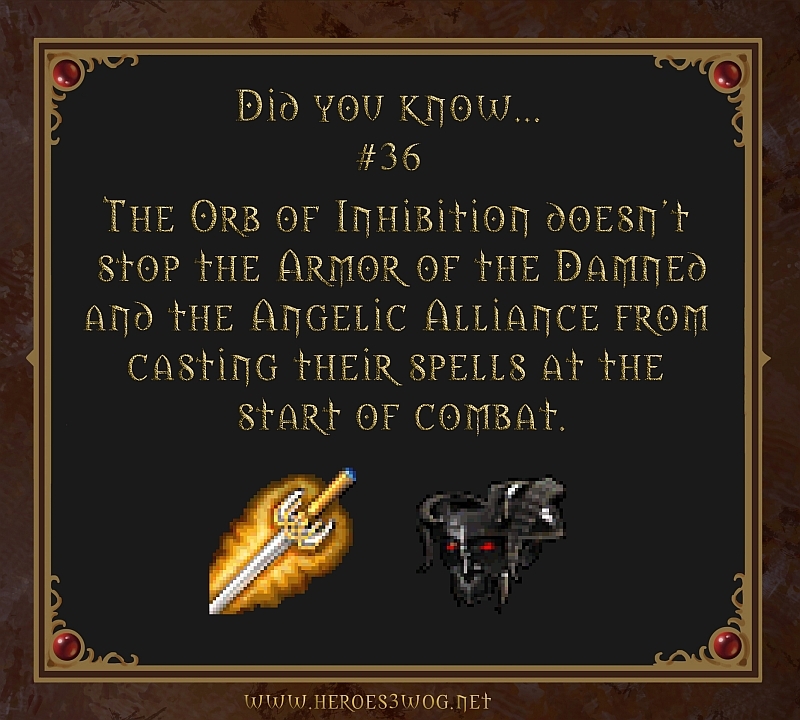 #36 The Orb of Inhibition doesn’t stop the Armor of the Damned and Angelic Alliance from casting their spells at the start of combat. 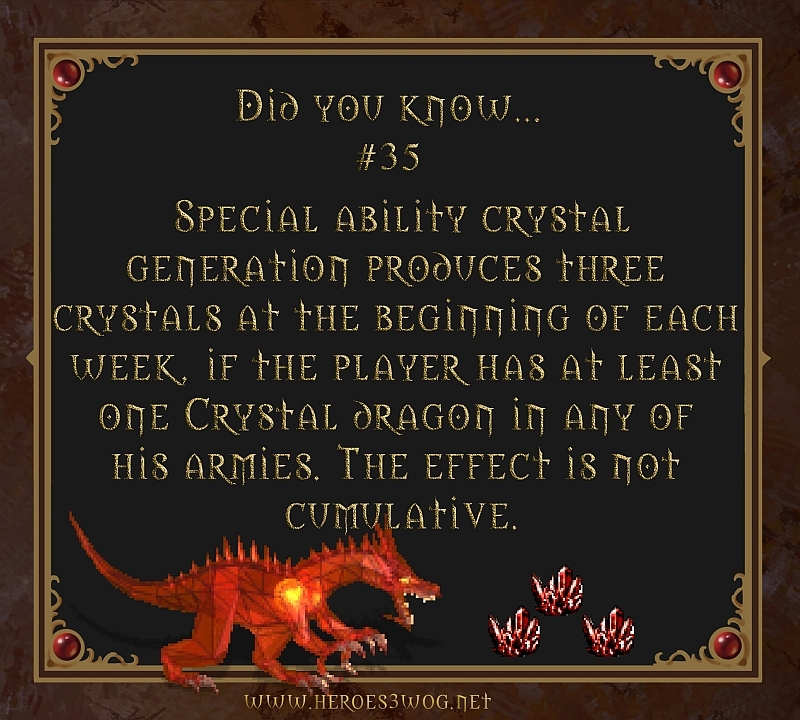 #35 Special ability Crystal Generation produces three crystals at the beggining of each week, if the player has at least one Crytsal Dragon in any of his armies. The effect is not cumulative.